These are just a small few of some of the rare and exotic cars that collectors are willing to pay hundreds of thousands and even millions of dollars for. Earlier this month was the RM Monaco Auction and as expected, some of the most valuable, rare, and expensive cars were up on the block. All told, the auction sold 87 percent of its offered lots which brought in a total of $43,410,615 in sales. Just how expensive were some of these cars? Six lots brought in more than $2 million and an additional 10 brought in more than $1 million. We&apos;ve gathered a short list of what we thought were some of the auction&apos;s highlights. 1976 Lancia Stratos: A favorite amongst Italian car fans, rallying enthusiasts, and car people in general, the Lancia Stratos is truly a legendary thing. This particular &apos;Stradale&apos; version that was recently restored has only had two previous owners, both of whom took extreme care of it. The engine and gearbox are original and remain unrestored. It has just over 26,000 miles on the odometer and even came with the original workshop manual and sales brochure. Originally estimated to bring in between €250,000 to €300,000, the winning bid was €299,600. 1973 Porsche 911 Carrera 2.7 RS Touring: This wouldn&apos;t have been a proper exotic car auction without a rare Porsche 911. This one happens to be a 1973 2.7 RS and was only the 38th one and one of the first 500 "RSH" examples for FIA homologation requirements. 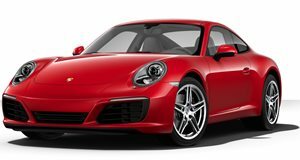 It differs from other 911&apos;s from that era due to its lightweight steel and glass, a larger fuel-injected 2.7-liter engine and upgraded braking and suspension systems. The "RS" moniker stands for Rennsport. Estimated to bring in between €165,000 to €185,000, the new owner paid €196,000. 1955 Lancia Aurelia B24 Spider America: It was only one of 240 built and was directly related to Lancia&apos;s first post-war car. Originally launched in 1954, the Aurelia B24 Spider America roadster was designed by Pininfarina and features a wraparound windshield and side curtains. This particular example was previously a part of one of the most exclusive Italian collection for many years. Upon the completion of its restoration, it received the highest certification from the Automotoclub Storica Italiano. It too went above its estimated price range of €350,000 to €420,000 with a final price of €425,600. 1936 Mercedes-Benz 540 K Sport Cabriolet: This is one of those $2 million+ sales. Was it worth it? This 1936 Mercedes-Benz 540 K Cabrio is powered by a 180hp supercharged straight eight-cylinder mated to a four-speed manual. With its grand and iconic shape, this is the car that literally defined the 1930s. It represents one of the earliest road going uses of the German automaker&apos;s new 5.4-liter V8. Delivered to its first owner on October 18, 1936, it made its way to the U.S. after the war and was owned by a few collectors. One owner, Japanese collector Nachiro Ishikawa actually ran it twice in the Monte Carlo Historic Rally where it won first place in 1991 and 1994. It had its first restoration in 1994 and had a class win at Pebble Beach in 1996. It had a second restoration in 2008 and no expenses were spared. It&apos;s now an absolutely flawless machine inside and out and sold for €2,324,000. 1950 Talbot-Lago T26 Grand Sport: Now this is something truly special. This 1950 Talbot-Lago T26 Grand Sport was co driven at the 1951 24 Hours of Le Mans by Juan-Manuel Fangio and Louis Rosier. It&apos;s only had three owners since it was built and from 1958, it had just one owner. Powered by a 4.5-liter, 200hp aluminum inline six-cylinder engine with dry-sump lubrication, it&apos;s mated to a four-speed gearbox. In addition, it has an independent front suspension with wishbones and transverse left spring and a live rear axle. It was originally built for the 1950 Le Mans race but wasn&apos;t yet ready to compete that year. The following year, it was forced to retire early from the race due to an oil tank failure. In fact, hot motor oil spilled onto Fangio which was extremely painful for him. After being repaired, it went on to compete in the 1952 Monaco Grand Prix. It returned to Le Mans in 1954 but tragedy struck. Driven by owner Georges Grignard and Guy Mairesse, the latter was killed during practice when he struck a wall. Following the accident, the car sat in Grignard&apos;s garage before the now previous owner bought and repaired it in 1958. Interestingly, it wasn&apos;t sold even though it had a high bid of €1,050,000.